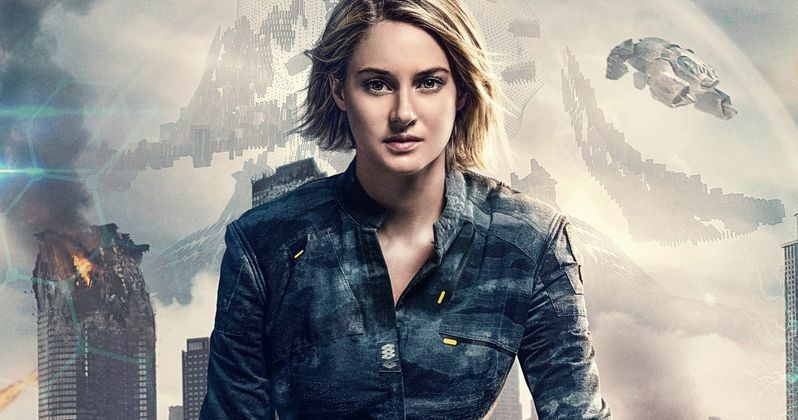 Back in July, reports surfaced that Lionsgate's final Divergent movie, The Divergent Series: Ascendant, will skip theaters entirely, airing as a TV movie that will set up a spinoff series. The news took Shailene Woodley by surprise this summer, revealing in an interview that she had just gotten off a plane when hearing the news. While no official details about this Divergent TV movie have been announced, Shailene Woodley has made it clear that she has no intention of joining a TV series. Both Shailene Woodley and Miles Teller wouldn't clarify their stance on the TV movie one way or another after the news broke this summer, but during an interview with Screen Rant, while promoting her new film Snowden, Shailene Woodley seemingly hasn't heard any updates since the initial rumor surfaced. If the studio still does plan on turning the franchise into a TV spinoff series, Shailene Woodley does not want to be a part of it. "Last I heard they were trying to make it into a television show. I didn't sign up to be in a television show. Out of respect to the studio and everyone in involved, they may have changed their mind and may be doing something different, but I'm not necessarily interested in doing a television show." The Divergent movies have never been cash cows at the box office, but the first two put up solid numbers, although they were far from box office blockbusters. Divergent earned $150.9 million domestic and $288.8 million worldwide from an $85 million budget, while the second movie, The Divergent Series: Insurgent, came in just below its predecessor's domestic take ($130.1 million), but made more overall globally ($297.2 million). Last year's The Divergent Series: Allegiant only made $66.1 million domestically $179.2 million worldwide. While the news that a franchise was turning its finale into a TV movie was surprising, there were clues all along. Shortly after the release of Allegiant last year, a report claimed that Lionsgate was planning on slashing the budget for Ascendant. While an exact figure was never given, the report said that several millions of dollars will be shaved off from the $110 million the studio spent on Allegiant. Turning a big-budget franchise finale into a TV movie is certainly one way to trim a budget, but we still haven't gotten any further details. It's still possible that Shailene Woodley would return as Tris Prior for the TV movie version of The Divergent Series: Ascendant, to close out the franchise, but it seems she won't reprise that role in this potential TV spinoff.